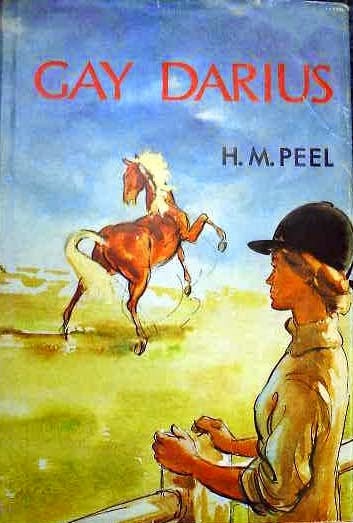 H M Peel's Gay Darius is one of those pony stories that's immensely difficult to find. I did read them in the 1970s, because our local library had them all. They were, somewhat confusingly, shelved with the non fiction. I imagine this was because they were much more technical than the usual run of pony story. Once I'd tracked them down, I read them several times, but never managed to find one myself. 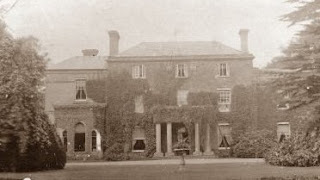 Most of the Leysham Stud series only had one publication, which means they are even harder to track down. I had forgotten the books even existed until I went to a secondhand bookshop in Oundle one day, and there sitting in the children's section were four beautiful first editions: Jago, Gay Darius, Dido and Rogue, and Untamed. I made a huge tactical error here: I bought the books, but thought I'd sell them as surely others would crop up soon. How wrong I was. It took years before more turned up, and by then I'd gone into bookselling full time, and I was buying them for other people. 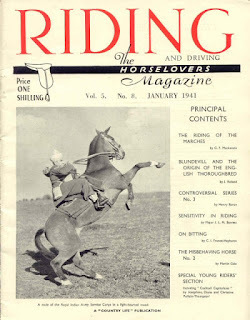 The series' premise is a bit unlikely: heroes Ann and Jim Henderson seem able to turn their hand to any equestrian discipline, even trotting, but it does mean the reader gets the chance to learn about horse sports that don't usually crop up in pony books. Gay Darius covers eventing, which is why it's earned its place in the current run of PBOTDs. Gay Darius was a Henderson book that my local library in Australia listed in the catalogue, but could not find. I have wanted to read it since I was 10. A palomino eventing? It was going to be my favourite Henderson book ever! At the age of 50, I spent a very happy afternoon in the British Library reading it. Although it wasn't as marvellous as I hoped it was still incredibly satisfying to finish the series. I'm glad you caught up with it at last! I read it in our local library and then didn't see it again for another 30 years. That feeling you get when you've finally tracked down the elusive last one in a series is quite something.